Hearing impairment is a common problem in patients due to aging. The patient may find it difficult to understand instructions or communicate effectively if he is unable to hear appropriately or there are multiple noises in the background. This can also result in a loss of self-confidence and mental well being of the patient. The patient may feel that he is not able to articulate his needs clearly, and may stop socializing. The patient may not be able to hear you enter the room, or approach him. So, approach the patient from the front, and touch them gently on the arm so they are not startled. Face the patient and speak slowly and clearly so the patient understands each word. Ask for confirmation from the patient after each instruction to ensure that the patient has understood the message. This can be done by asking the patient to repeat what you say. Do not cover your mouth when talking. This will help residents to lip read when you are communicating. Keep the conversation simple to avoid confusion. Ensure there are no background noises when you are talking. Use visual aids, sign language and writing material such as notepad and pencil along with the verbal communication with the patient. Encourage the patient to use other senses such as touching and smelling things which will help the patient to articulate his needs or assist them in getting the message across. 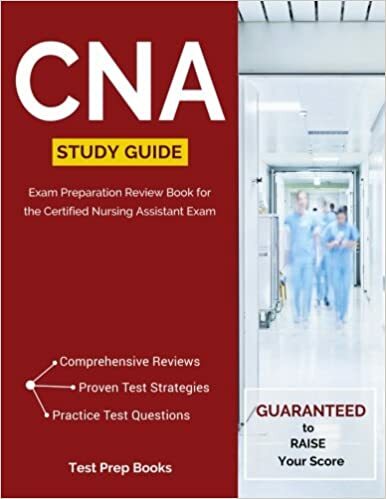 If the CNA is unable to understand what the resident is saying, the CNA should ask the resident to speak slowly and also repeat after him to clear the confusion. Place the hearing aids, call buttons, water and other necessary things that the resident needs, close to the bed, so that they can access it when required. Let the patient know when you are leaving, and that you are done with your work in the patient’s room.